Click the button below to add the Psoriasis Soften Scalp Anti-Bacterial Formula to your wish list. Potent, nutritive and antifungal ingredients are quickly absorbed to improve the condition of your scalp and hair follicles. This lightweight formula penetrates, taking its nutrients and beneficial properties to the source of irritation with nutritive moisture to instantly soothe and calm. Deodorizers like Manuka, Tea Tree and Oregano essential oils help balance and neutralize any unwanted odors. Your scalp is left feeling calm, soothed and purely refreshed. 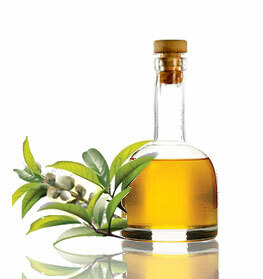 Tea Tree is an antibacterial oil that will relieve and soothe dry, irritated scalps. Massage your scalp gently, allowing the serum to penetrate. This is a leave-in product; it is not necessary to rinse. Blow dry or air dry as usual. May be used daily. This is the best scalp product I've found to alleviate the itching and flaking associated with inflamed skin. This has been far more effective than all the OTC coal tar, pyrithione zinc, selenium sulfide and hydrocortisone shampoos and scalp products out there. I apply this product liberally every night to a clean scalp. I was led to believe that this was a leave in product that would help my scalp psoriasis and that I could use it every day. It does help and I wish I could use it every day but it is definitely not a leave in product . Is extremely oily and difficult to use . I believe if I could use it every day The dry flakes that plague me would be a lot less . So I settle for good days and bad days since I can only use this product the night before I shampoo . This is the best scalp product I've found to alleviate the itching and flaking associated with psoriasis. 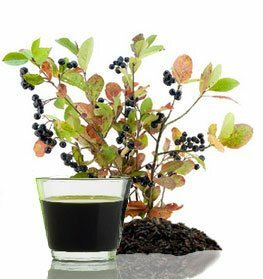 , This has been far more effective than all the OTC coal tar, pyrithione zinc, selenium sulfide and hydrocortisone shampoos and scalp treatments out there. I apply this product liberally every night to a clean scalp. Hi - I have suffered from a sore/smelly scalp for the last 3 years. Seen 4 dermatologists, tried a dozen over the counter and prescription shampoos, but nothing helped. I'm using your line of itchy scalp products and scalp fungus treatment and FINALLY relief ! Thank you, Thank you, Thank you for making a line that's not only clean, but that actually works!!! It works wonders! Have had a terrible itchy scalp before, but not anymore! This product is simple and excellent. No strange ingredients that do nothing my scalp. I had a bad case of itchiness with dandruff, and I tried this. It works, it really works. After two usages my itching is gone.